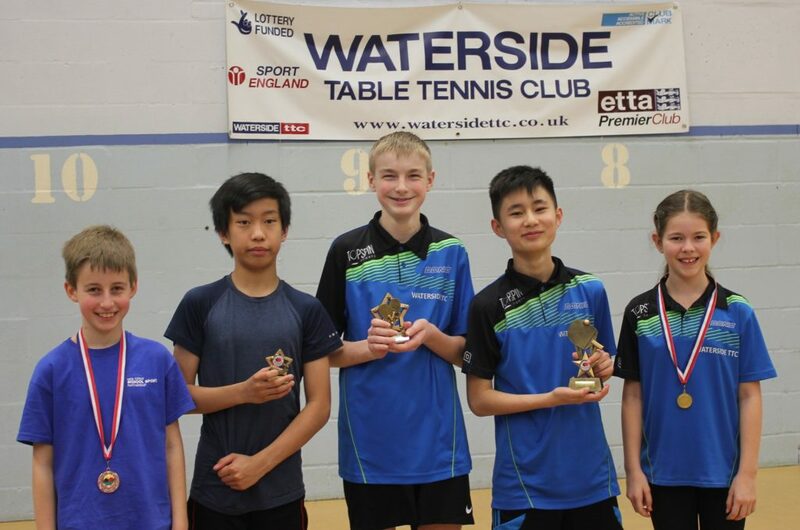 The first of our new Young Players’ Events was held recently at Waterside Table Tennis Centre at Testwood. With an excellent attendance of 24 players, for many of them it was their first experience of competitive table tennis. The format of the tournament is such that it is played in three rounds where players progress into new groups for each round. Everyone plays the same number of matches and no one gets knocked out and finished early. The event was won by Jared Hon who beat Adam Alexander. The third and fourth places were contested by Nick Ha and Thomas Agombar. Charlotte Fee was the girls winner.